I am new to the forums and love the amount of info and friendly advice on here, so I thought one of the best ways to get to know some of you is to create a journal. 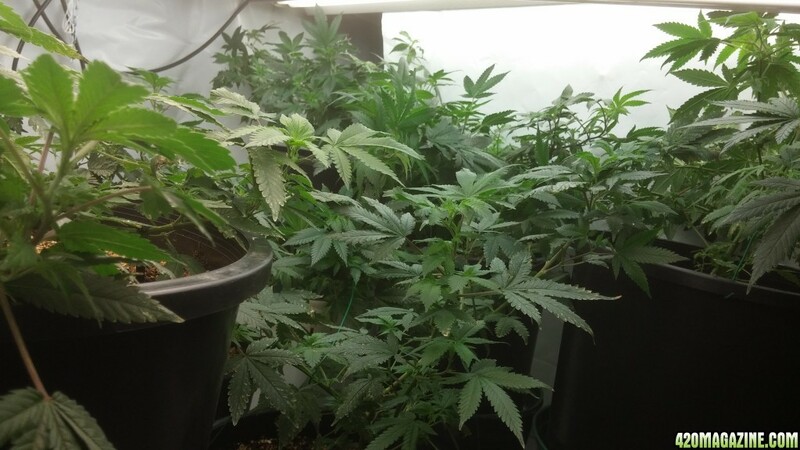 This is my first grow in soil and a completely different room(shed). 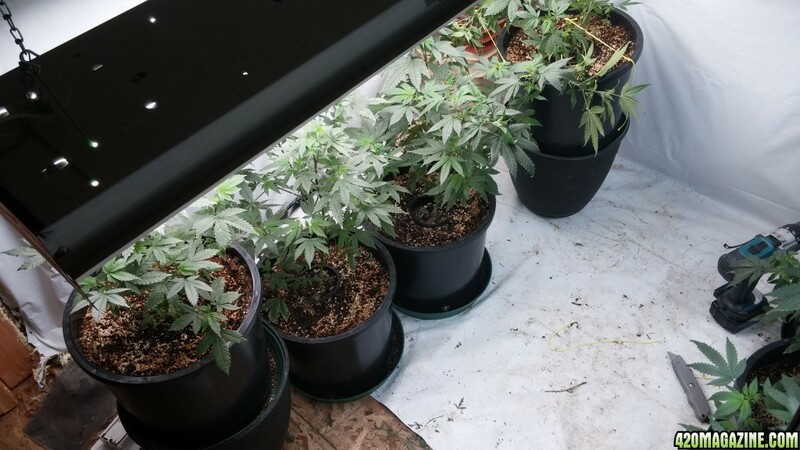 I have run into so many unforseen issues with growing in a shed that I cannot go through all of them, so right now my main concern currently is heat. Winter is fast approaching and temperature control has been a battle since day one but my first crop wasn't bad but it wasn't to my standards. 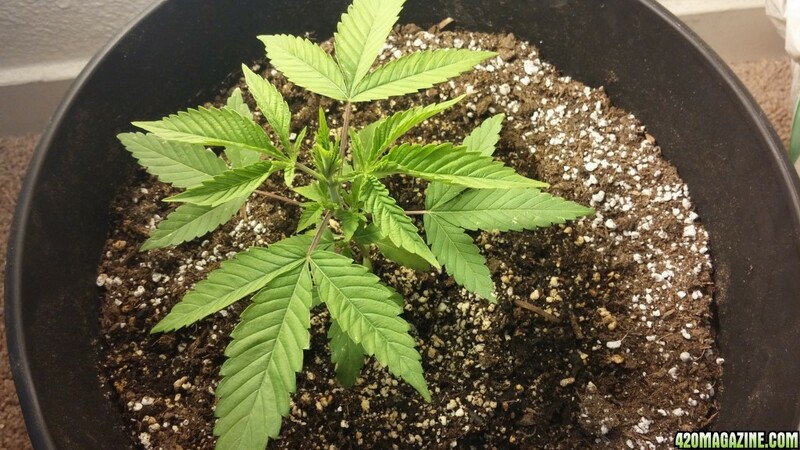 I am growing in pro mix soil and currently 5 gallon pots for veg. I am currently trying the lst method, I usually topped my plants then scrogged during flower but after a test run I can see lst is the best imo. 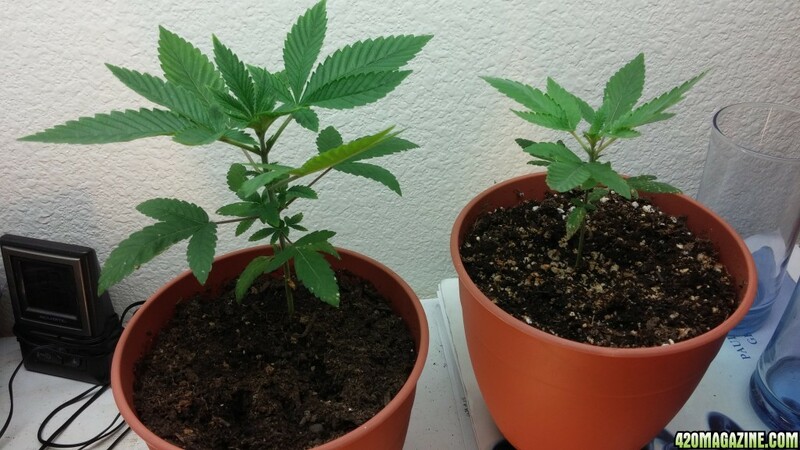 The fast recovery of the plants is by far faster than the topping method. 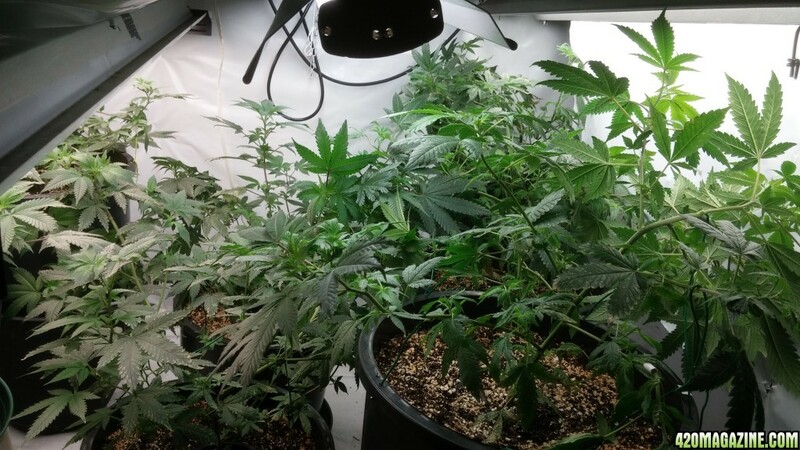 Now I have 7 girls under florescent lights and once in flower they will be under 2 1000w lights. For veg I am currently just giving them water as I do not really know all that much about the soil, I know it has micro and macro nuits and do not want to burn them(suggestions). I'm not entirely sure how long they have been in veg, from clone to current point I'd say 1.5months. Currently using an industrial space heater with thermostat and have a 720cfm fan for air movement and pulling heat off the b g lights. Couple oscillating fans to keep air moving. So the temps in the shed were quite low, 50 to 60, fixed the issue, but not much growth, stunted but happy plants. But I do want to update with something cool, I will be switching strains here once I get a good mother going and it will be Cali Connection Original Sour Diesel. 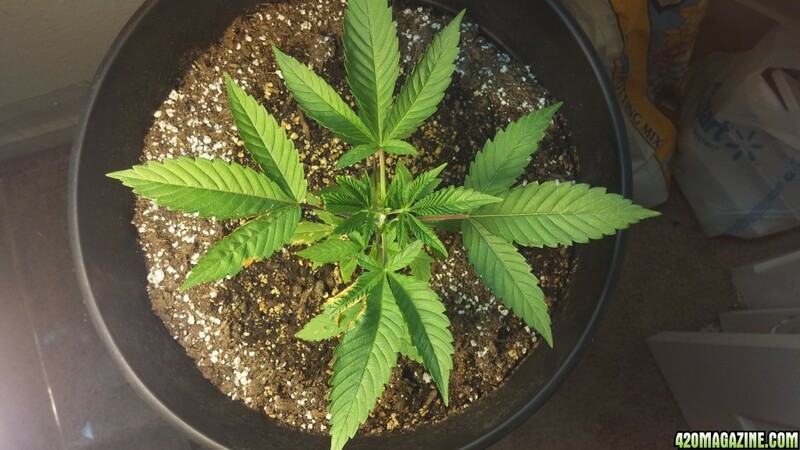 Now in the pic my concern is small but I am wondering why the leaves are curling my like this with out any sign of nute burn. I did have a 100w cfl pretty Damn close to the plant. Any help would be most welcomed. 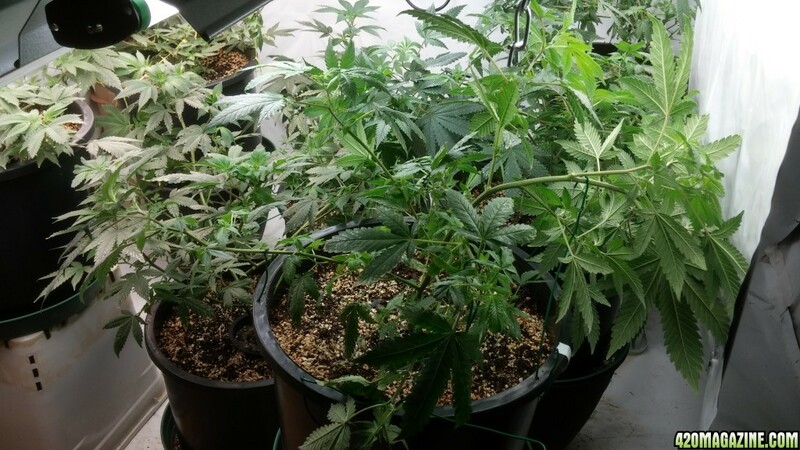 So I lst lsted the rest of the plants due to seeing the major benefits from the first one. Draped some visquien. or how ever you spell it, over the clfs to keep less light from escaping. I switched to Fox farm nutes and fed them today their first .25 dose just to see what happens. I plan on giving them more in the following feedings. I am also using some 5% humid acid. As well as some root enhancements. 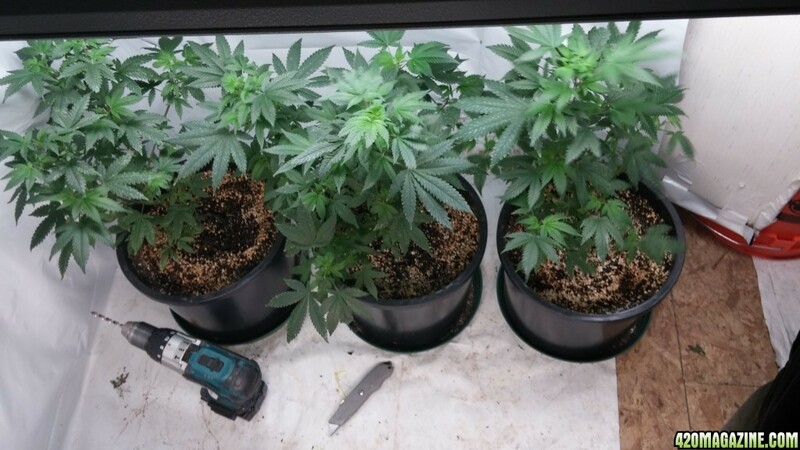 I'm thinking based off of the fast turn around time with the training, I will be putting these girls into flower here in two or so weeks. I want them to be a little bit bigger before I throw them in. More updates as things change. Advanced LED XML-350 for sale!!! If you see this message, it is not sold yet!! Guys, I'm getting rid of my Advanced LED DS-XML 350 10W Cree LRD Grow Lamp. Its a pretty good lamp. $1K new from Advanced LED. You can get mine hardly used for $500 clean. All necessary cables included. If you see this message, that means it is still for sale. I figured only folks here would be able to appreciate it. Send me a PM if interested. Local pick-up in Golden, Colorado only. Sweet thanks, hopefully I live up to the other journals on here. I'm in too! Best of luck on your grow. 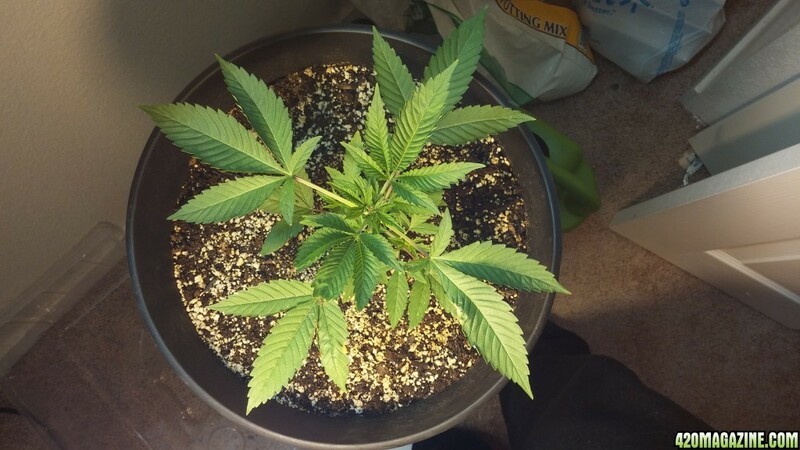 Thanks man, first time in soil and lst method. Great growing to you my friend! just Subbed up man! everything looks good so far the cupping I wouldn't worry too much about seen my plants do it in veg when the humidity got too low for them. Whats your RH at? Don't forget to vote in the 420 Contests people!! It's pretty low, 34 or so. I appreciate you and the others subing up. Unfortunately I had my light to close which was causing the curl, and it fell on her and now she has some battle wounds but I caught it in time. I'll upload some pics soon of my sour d's a little later tonight. Just subscribed. Good luck, my friend! I think I'm seeing a little nitrogen deficiency happening in the 2nd biggest, pretty sure it's the soil it's in and will be transplanting in two days. But my question is between #1 and #2(the one with the n deficiency), which one based on the pics, if needed I can upload more pics, but which one should I choose for a mother. Is it still to early to tell? They were all planted at the same time from the same company. Also will be topping both #1 and #2 a couple days after transplanting. I'm also trying to pick keepers out of the PBXFlav and the Orig. 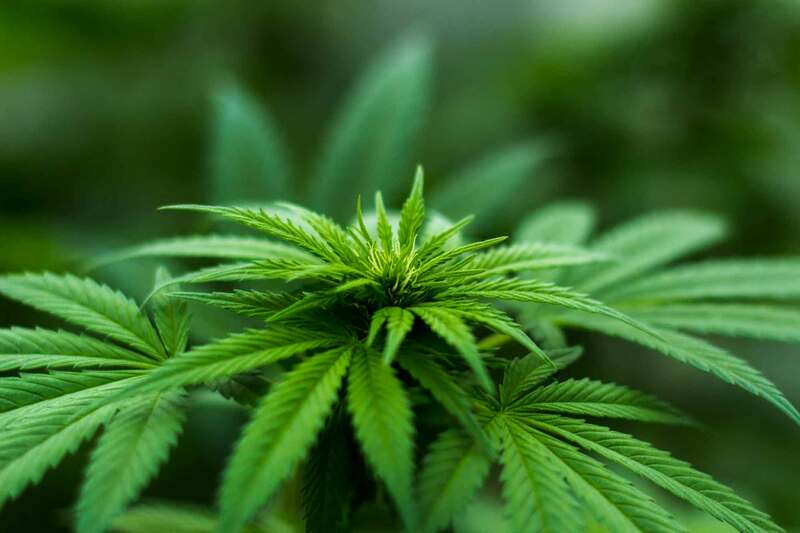 Sour D that I'm growing in my experience the best method in selection takes a little while and you have to get a grow or two with your potential mother plants to really see which one will be a better selection. 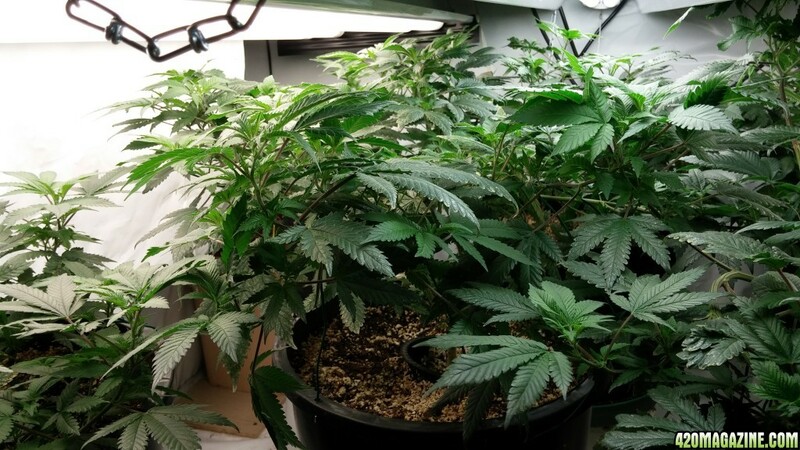 If one of your choices is a little Nitrogen deficient you will wanna correct any deficiencies you see and take notes on when in the plants life cycle it became deficient and possible causes to be able to try and do a grow with your potential moms running at their peak to make the best selection. 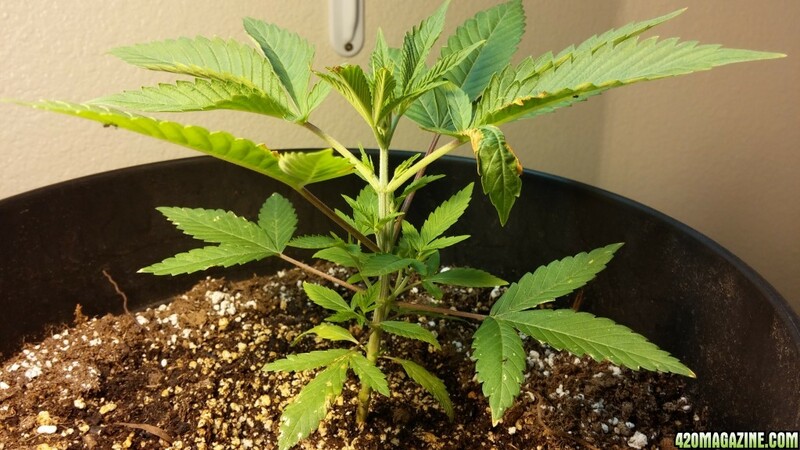 Who knows maybe the one thats Nitrogen deficient may just be a heavier feeder meaning it could just be a nute hog or it wants to grow bigger/faster than other starts maybe making it the better choice. 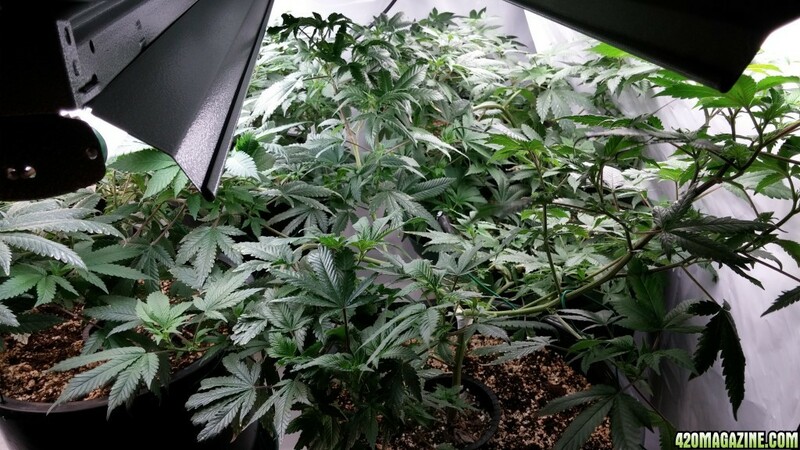 You really have to take them all the way through harvest keeping clones before 12/12 of all candidates and comparing notes on plant health, vigor, growth structure, node distance, stretch in flower, final weight, final smoke, etc. Anyway another rant sorry man Hope I helped I just wouldn't make an early choice until you know what you'll end up with I'm keeping my runt PBXFlav in flower and took clones just to maybe give it a round 2 who knows maybe it will be the most killer buds out of everything! Hey man your rants are full of info, I really appreciate it. 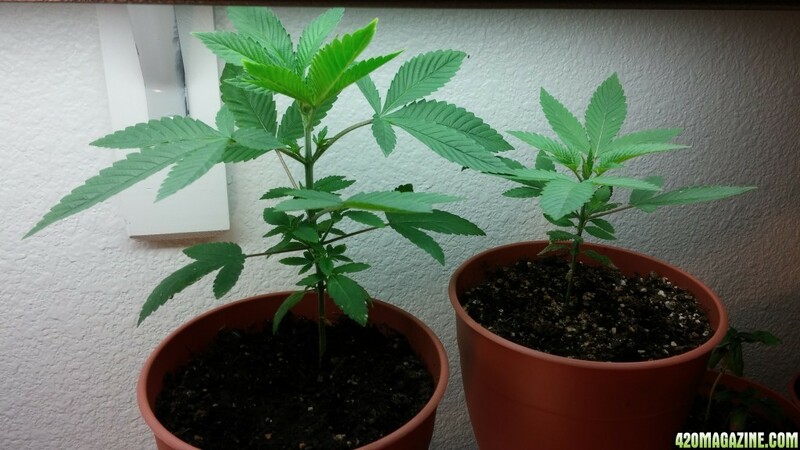 So your saying, take clones from both subject mothers, see how well each subject clones do throughout veg and flower then make my decision from there. Going to start lst tonight on the babies. 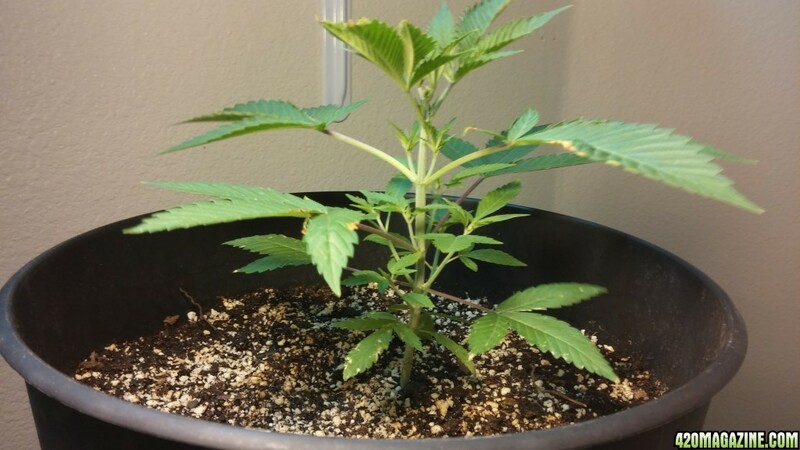 Pic 3 days after full lst, had to raise lights already due to growth. Looking pretty man great job with the girls so far LST and topping will work their magic now you just gotta go in and break some bones with some supercropping! looks ugly but you shouldn't usually have to stake your plants up afterwards. Nice fat stems to hold up your future heavyweights! !